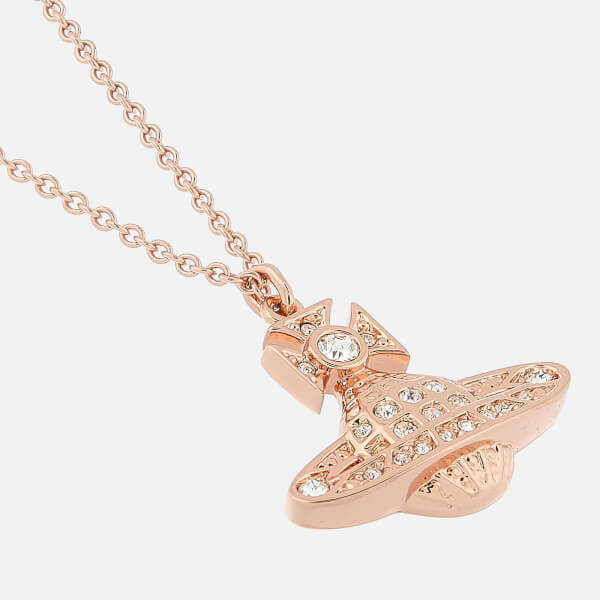 Women's rose gold-tone pendant from Vivienne Westwood. 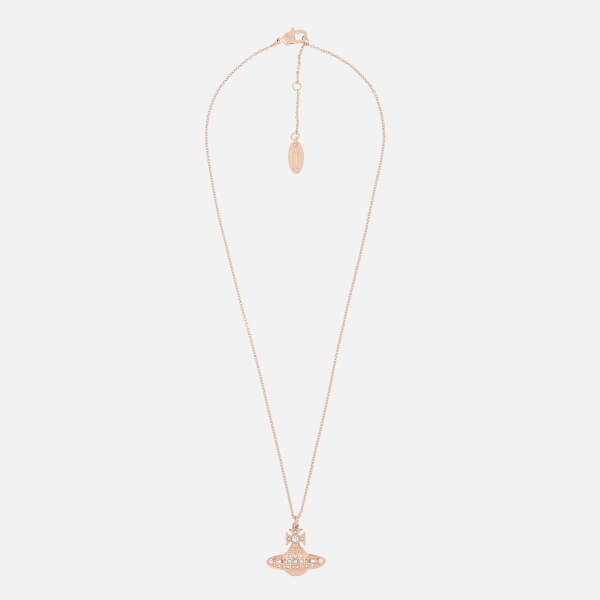 Crafted from rose gold-tone brass, the 'Mini Bas Relief' necklace comprises a delicate link chain and a pendant in the shape of Vivienne Westwood’s signature orb and Saturn ring logo with clear coloured Swarovski crystals for a glittering finish. The necklace is fastened with a lobster clasp which offers adjustable sizing. Complete with a branded gift box. Chain Length: 45.5cm. Orb Dimensions: H: 2cm x W: 2.6cm.